This Christmas stationery design features a green Christmas wreath decorated with red and gold stars and a bright yellow ribbon. The holiday wreath is set against a background of festive poinsettias and a green and red border. 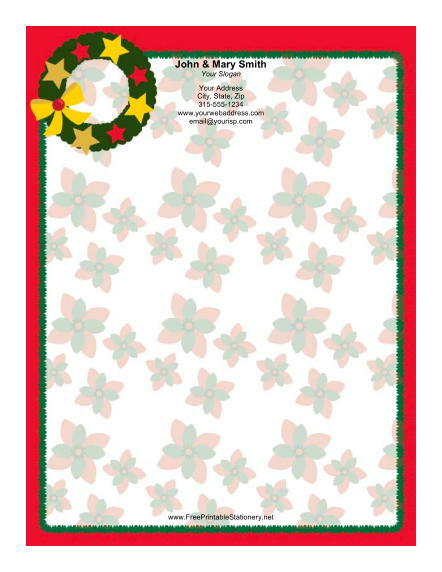 This festive paper is perfect for writing holiday notes in the Christmas season.